Firstly a big thank you to agree to participate in this interview. First of all can you describe briefly your career as a musician? There is not much of a career to speak of, truth be told. I was a late starter to music, not picking up a guitar until I was 16-17. I taught myself how to play and eventually joined my first band – Autumn Winds. We played all original songs, either written by me or the keyboard player Malcolm Sugden. It was said we played a style of music like BJH meets Mahavishnu Orchestra! I have always written songs since first learning the guitar – I found it easier to write my own than learn someone else’s! We gigged around Yorkshire for a while, once we had found a drummer, but it broke apart fairly soon. All I have left are some demo recordings and lots of photos. After that band, I played in a blues rock band – again all original material – then a folk rock band, playing covers. 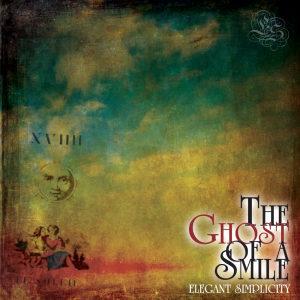 Elegant Simplicity was formed in 1992, you published seven cassettes in the next three years, all as a multi-instrumentalist. At that time what was your purpose? At that time, I was getting nowhere with other musicians and had a massive stockpile of songs. So, I decided to record them all by myself. As I had already learnt to play banjo, mandolin, flute and what have you, all I had to do was record the things. It was all pretty primitive until I got my first multi-track recorder – all four tracks of it. I recorded hundreds of songs – working as fast as Bill Nelson! I sang and played everything: just getting the ideas realised was the core of the thing. The purpose, really, was to record the music I was hearing in my head that I didn’t know existed outside of it. If that makes sense! Why choosing a style of less popular music as a means of expression? To be brutally frank, the style of music I made was what it was – it was how it came out. I didn’t really know of progressive music then as I now know it: to me, it was just rock music, though mostly instrumental. My vocal songs were very commercial, pop-rock things, though. However, my singing was, shall we say, an acquired taste! How can you describe the music of Elegant Simplicity? What are your influences? Crafted and elegant, melodic and purposeful, occasionally progressive. For me, my biggest influences are Uriah Heep and Black Sabbath! Closely followed by Barclay James Harvest, Camel and Jethro Tull. I don’t think I wear my influences too obviously, but it is there if you take a close look. As I said at the beginning you were alone but in the middle of the 1990s you have recruited Ken Senior as a singer. How was this choice? That was pure coincidence. Ken was looking for a keyboard player and I saw an advert he had placed in a magazine. I gave him a call and we got on tremendously well. In a bizarre turn of events, we had actually met, very briefly, many years previously when I was in Autumn Winds: he was friends with Malcolm, the keyboard player. Anyway, as I say, we shared many common interests and it seemed like a good idea to work together. What impressed me about Ken was, unlike a lot of the musicians I had encountered, he was reliable: he turned up on time! Anyway, we have worked together on and off ever since. It also seems that you have found a regular drummer in the person of Christopher Knight, you can tell us about? Chris is from the North of England and we have never met! All our work is done via email. I program a rough sketch of what I want, send it to him and away it comes back. Usually as midi files played on a Midi kit, occasionally as audio. He won’t be on the next album, though. I have not been able to get in touch with him, so the drums will be played by me. What are the elements that inspire you when you write? Anything from overheard conversations, news, things that I see or happen to me or someone I know. Something funny, something sad – inspiration can come from anything, anywhere at any time. For example, in the countryside, down very narrow single track roads, there are little ‘passing places’. We got stuck in one a few years ago and it triggered an idea I sketched out on the Laptop computer that very day. So, yes, it can come from anything. In 2007, you realize “Too Many Goodbyes”, I have two questions about this album. First, it is the first album Sung since “Architect of” why Light? And the second is also your latest album, is there a reason for this silence? I never noticed that before, but, yeah, 3 instrumental albums in succession! No idea why Ken wasn’t involved. I know he was in Parallel or 90 Degrees at one point, so maybe he just wasn’t available or I didn’t have enough vocal songs. I really have no idea! Too Many Goodbyes, though . . . . too long since that one was out. This is my most unproductive period ever, in terms of public output. However, my son was born around then and I decided to make sure that neither of us missed out on that key period of a child’s development. Add to that moving house, place of work etc and there wasn’t much time for anything else. There still isn’t a great deal! As always, I kept on writing – sometimes on mobile phone/tablet! – though not as much as I used to. I have been recording very sporadically, too: an hour or so a week. Anyway, right now, there are plans for 2 new albums this year, which is very exciting and will go someway to making up for it! I also have another Vignettes EP in the works, too. In your Discography I don’t see any live album. Is there a reason? Yes, we don’t play live! Costs too much money to fund a band, simply can’t afford to do it. Love to do it, of course, as I think the improvisational side of our music would really come into its own. Maybe some day. A lot of people don’t realise, though, cos it sounds so ‘composed’, that just about every solo is improvised and is usually the first take: I purposefully put queues in the music so that if it ever got played live, it could be done. It would give us the choice of playing it like the record, or really stretching out and going for it! How do you see the world of music today? Is it possible for an artist to live well from his music? I think it is, but it is definitely much harder now than it ever has been. There is so much competition and so many fantastic artists out there. Really, live shows are where the ‘living’ really is: a bit like it used to be! You don’t even need to release CDs anymore to build a following. The trouble is, as an independent artist more or less working alone, to make any significant impact to the bottom line, you have to spend more time networking than making music. For some, that is really hard. Having said, I feel that most people make music for the love of it. Fiscal reward is way down on the list: nice to have, but not the driving force. You definitely listen to music, what are your favorite artists? PFM, BJH, Camel, Caravan, Pink Floyd, Jethro Tull, Gentle Giant – all the classics, I guess. Plus lots of cool stuff like Rufus Wainwright and Ben Folds. You must have some good memories, you might talk to us that will always remain in your memory? Musically, the day my first CD arrived from the pressing plant was pretty cool! Seeing It Bites in Bradford before they disbanded – the best concert I have ever witnessed. Deep Purple (coincidentally, also in Bradford) comes a close second. On a personal note, the birth of my son. Oh, and I can never forget the time I went to Syracuse in Italy: the one place I can truly say I felt instantly at home. Do you have a dream that you would like to make? Yes: above all else, I would like to make a living out of music or get a song featured in a blockbuster movie! What are the future plans for Elegant Simplicity? We have two new CDs coming out this year . . . . (hopefully), some new merchandising and a bigger promotional push than we have been able to achieve of late. I am also rebuilding and re-branding the website to try and position it as a more social thing. I am also taking more control over the distribution of my music: you can now get ultra high resolution downloads as well as CDs. Finally, you want to add a few words? Yes, many thanks for your time and for supporting independent music.